Marvell ARMADA® embedded processors are part of another exciting networking solution for a crowdfunding project and are helping “power” the global open hardware and software engineering community as innovative new products are developed. CZ.NIC, an open source networking research team based in the Czech Republic, just placed its Turris MOX modular networking appliance on the Indiegogo® platform and has already obtained over $110,000 in financial backing. MOX has a highly flexible modular arrangement. Central to this is a network processing module featuring a Marvell® ARMADA 3720 network processing system-on-chip (SoC). This powerful yet energy efficient 64-bit device includes dual Cortex®-A53 ARM® processor cores and an extensive array of high speed IOs (PCIe 2.0, 2.5 GbE, USB 3.0, etc.). The MOX concept is simple to understand. Rather than having to procure a router with excessive features and resources that all add to the cost but actually prove to be superfluous, users can just buy a single MOX that can subsequently be extended into whatever form of network appliance a user needs. Attachment of additional modules means that specific functionality can be provided to meet exact user expectations. There is an Ethernet module that adds 4 GbE ports, a fiber module that adds fiber optic SFP connectivity, and an extension module that adds a mini PCIe connection. At a later stage, if requirements change, it is possible for that same MOX to be repurposed into a completely different appliance by adding appropriate modules. The MOX units run on Turris OS, an open source operating system built on top of the extremely popular OpenWrt® embedded Linux® distribution (as supported by Marvell’s ARMADA processors). This gives the appliance a great deal of flexibility, allowing it to execute a wide variety of different networking functions that enable it to operate as an email server, web server, firewall, etc. Additional MOX modules are already under development and will be available soon. 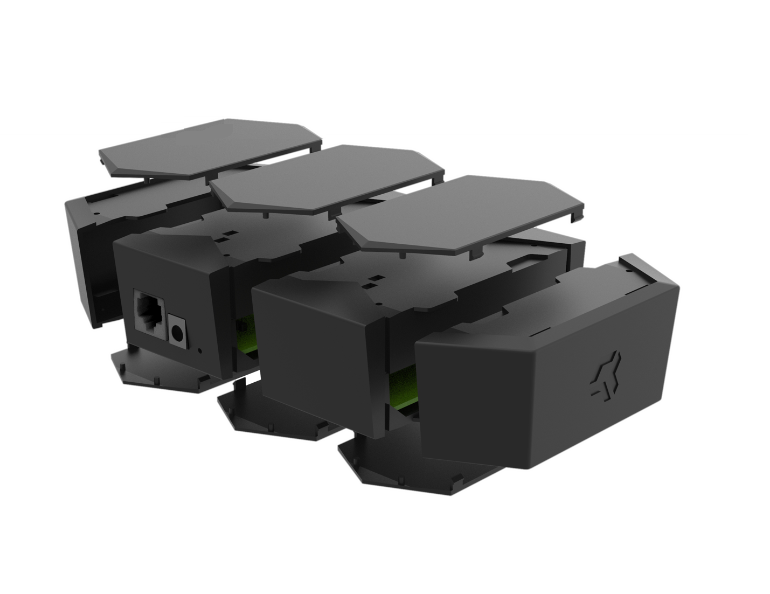 This project follows on CZ.NIC’s previous crowdfunding campaign using Marvell’s ARMADA SoC processing capabilities for the Turris Omnia high performance open source router – which gained huge public interest and raised 9x its original investment target. Turris MOX underlines the validity of the open source software ecosystem that has been built up around the ARMADA SoC to help customers bring their ideas to life. Click here to learn more on this truly unique Indiegogo campaign. This entry was posted on Monday, April 30th, 2018 at 11:15 pm and is filed under Embedded Processors. You can follow any responses to this entry through the RSS 2.0 feed. Both comments and pings are currently closed.